Here's the when and who will be available in the upcoming weeks to accept walk-ins. Most of our guest service-providers also work by appointment. You can read more about them and their services below. 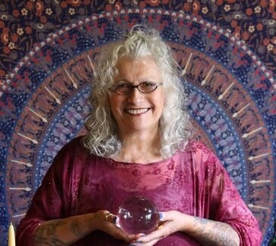 Beverly offers tarot and astrological readings. $30 per half hour. Join us for a unique and enlightening experience! Elizabeth is an natural intuitive reader, writer, and artist who draws her energy from the Divine Feminine, nature, and crystals. From childhood, Elizabeth developed a special connection with rocks, geodes, and crystals. Using her inner child and passion of crystals she has developed her own unique style of intuitively reading with crystals. In these readings, she combines the crystal energies with her knowledge, intuition, healing, channeled messages from higher frequencies and connection with the persons soul. Each session is personalized by focusing on one’s past, present, future, growth, and spiritual path. Upon leaving you will obtain clarity, calmness, and readiness to take on the next step in your journey. Elizabeth’s readings are detailed, healing, gentle, motherly, encouraging, and full of self-discovery. I listen to, and play with the magic of the elements that are around and within us all: Earth, Fire, Air, Water, and Spirit tell our stories, and connect us to the sacredness of all life. I access the energy and ‘stories’ of tarot, numerology, astrology, and the deep listening to Spirit and silence to find a path to an understanding of personal wisdom and self-empowerment. It is my ‘Heart’s desire’ to practice the Path of Love, peace and kindness, in the “Be Here Now”, to be sure to laugh as much as possible, and ‘To turn to Love no matter what’. Krystal Rain is a certified Reiki Practitioner Holy Fire 2, and Crystal Healer. 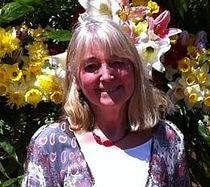 She has a holistic practice that combines several methods of energy healing, inducing self restoration. Krystal does 20 minute Reiki & Crystal Healing sessions for $20. ​Spencer Michaud is a professional astrologer who focuses on self-actualization and empowerment. He uses an interdisciplinary approach incorporating both modern & traditional chart reading techniques as well as numerology, animal symbolism and archetypal storytelling. His readings focus on actionable, grounded wisdom utilizing the power of choice and transcendence to help you find the hero within. Spencer has over fifteen years experience studying the ancient wisdom traditions and symbolic languages. Tim is an intuitive psychic who uses his gift of empathy to read the spirit. His goal with every reading is to help uplift the spirit by assisting his clients to release negative emotional energy to make room for positive energy. He believes that many people have a hard time advancing in their life because they are too attached to things that no longer serve them. In order to evolve into higher consciousness we must learn to let go of many things but only in order to make room for greater things to manifest in our life. You can also keep up with him on his youtube channel titled Soultry Vibes as well as follow him on Instagram @SoultryVibes. Tim's spirit readings range from $40 dollars for a 30 minutes session to $75 dollars for an hour long session.